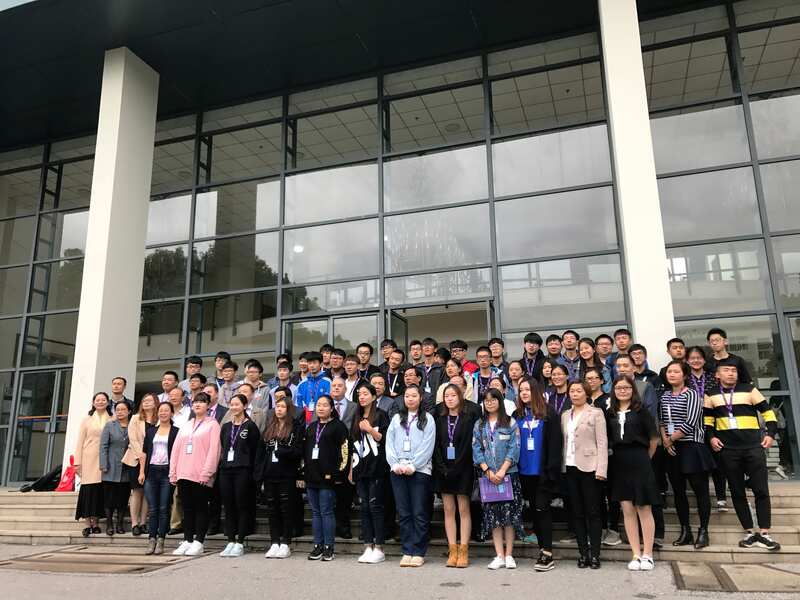 Earlier this month, Keiser University’s Shanghai campus held an initiation ceremony welcoming the inaugural freshman class enrolled in the first Bachelor of Arts in Business Analytics (BABA) program in Shanghai, China. Held in conjunction with Shanghai Industry & Commerce Foreign Languages College (SICFL), which is the host institution and educational partner for Keiser’s Shanghai campus, the celebration was attended by the faculty, staff, and administration of SICFL, along with Dr. Arthur Keiser, Chancellor of Keiser University and Mr. Zhanjun Yang, Vice Chancellor of International Studies for Keiser University. The meeting was hosted by the Dean of the Keiser Shanghai Off-campus site, Gavin Chen. Special speakers from SICFL included Mr. Weiwen Chen, Dean of the Department of Mechanical & Electrical Engineering, Dr. Haishan Jiang, President of SICFL, and Miss Fenglin Zhang, student representative in Keiser University’s BABA program. Highlighting the tremendous opportunities that Big Data Analytics will bring to the world in the years ahead, Dean Chen (Weiwen) and President Jiang both gave inspirational speeches to the attendees. Both challenged the students to seize this exciting opportunity they have and diligently work hard to complete their program of study in data analytics and one day enter this exciting field. Miss Zhang gave a humble but inspiring speech, challenging her fellow classmates to work hard in their technical, business, and English language studies to prepare themselves for the difficult academic years ahead and to be ready to meet the challenges of their program of study. In the concluding speech, Dr. Keiser welcomed these new students to the Keiser family and pledged to them his support and the support of the entire Keiser organization in helping them succeed.